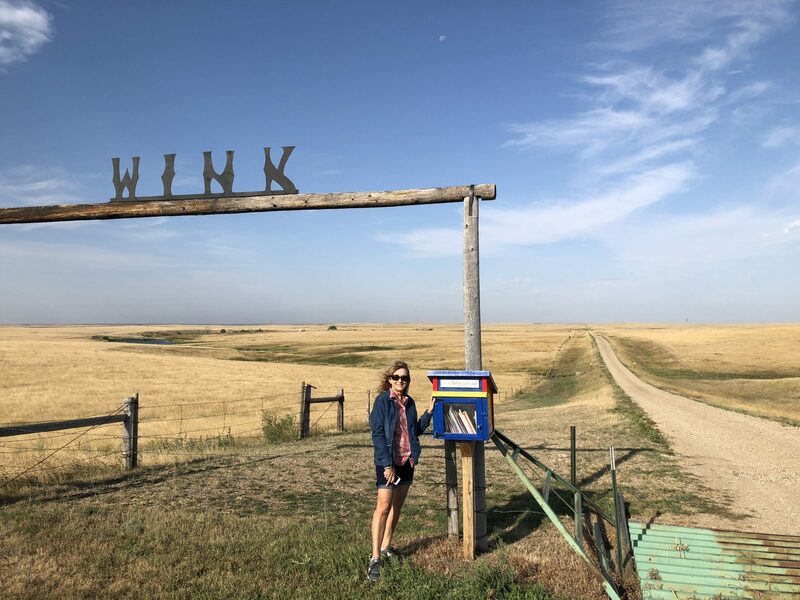 We have just returned to the SD ranch from AZ, and I was not sure what I should write about on WinkWorld–until I glanced at the books on my desk and my night stand. In what follows are some thoughts of what I have recently read. Here we go. 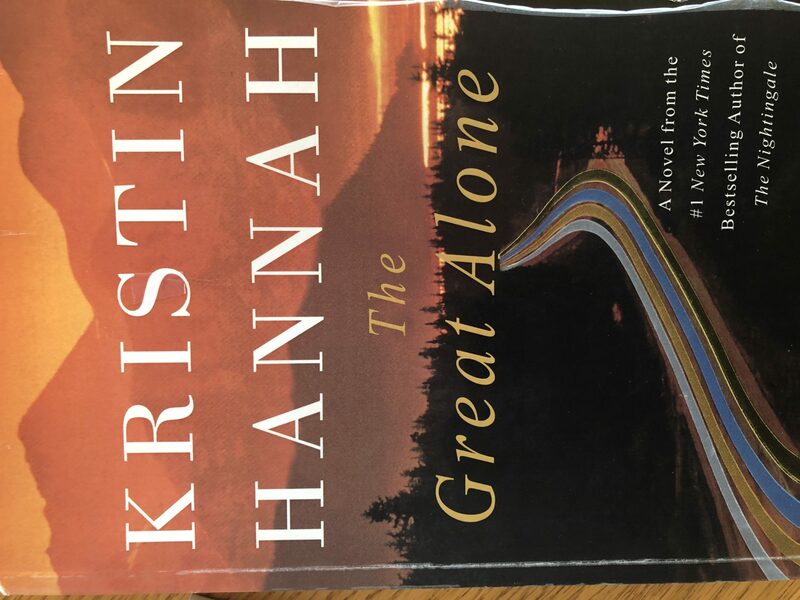 First, my colleague and dear friend, Janet Towell, sent me a book to read; her mother is next on our list of readers. Here is Janet when she visited us and our Little Free Library. 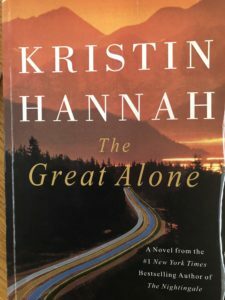 And, here is the book which she sent me to read, The Great Alone by Kristin Hannah. 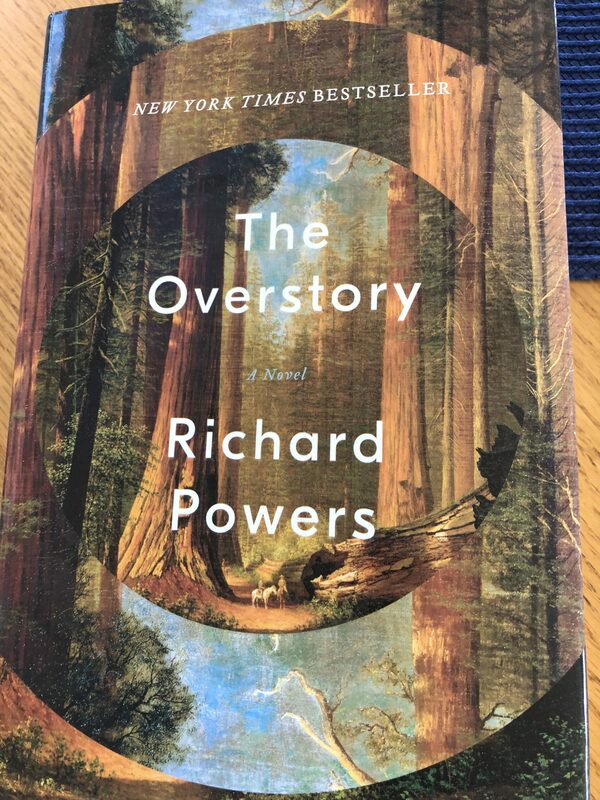 It is a fast and painful novel. The characters are powerful, real, and unforgettable, but keep your tissue close. Basically, it is a love story between a mom, with many challenges, and a daughter, with different challenges. Janet, I think I thank you. My heart was hurting as I read, but I couldn’t put it down. Dawn, you are not allowed to read this one. 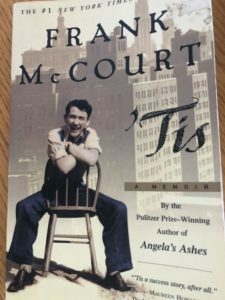 I also found a copy of Frank McCourt’s Tis: A Memoir in a Little Free Library in Tucson, so I reread it. I had forgotten his writing style. I promise you that you will hear his Irish lilt and laughter when you read it. While I was in Tucson, I went to visit the Worlds of Words (W0W)* at the University of Arizona. Kathy Short, who created this magical place did a talk on recent trends in literature for little kids and teen-agers. It was fascinating, as she did a book walk through 10s of books. And, I wanted them all. 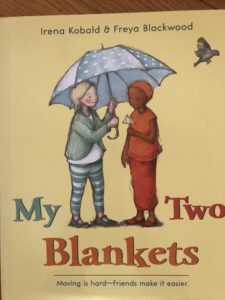 I limited myself to 3 children’s books–the first is My Two Blankets by Irena Kobald & Freya Blackwood (an Autralian book). 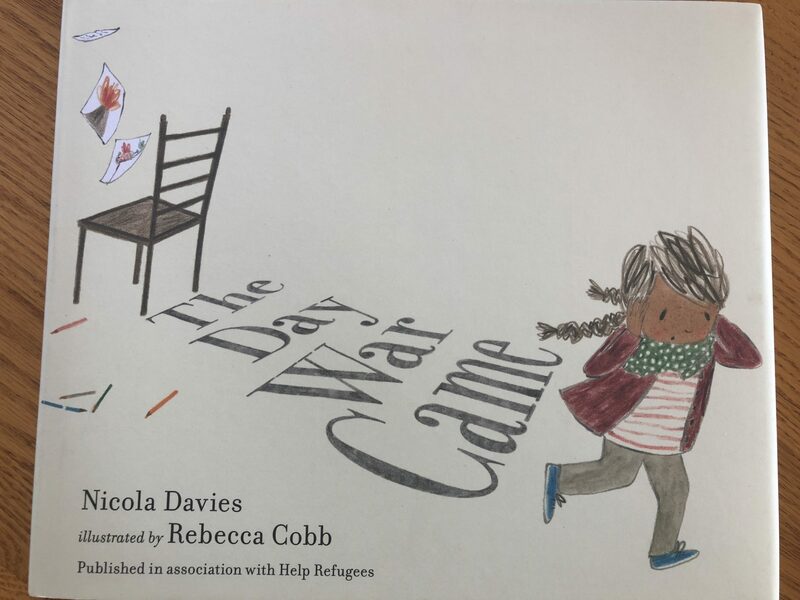 If you have kids in your class, who are new to our country and do not know English, I highly recommend this book. 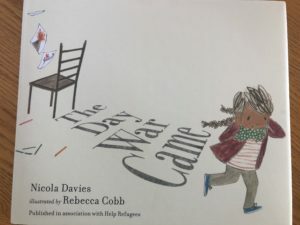 In the story, the little girl is such a happy, free-spirit in her home country. Her Auntie calls her, Cartwheel. However, when Cartwheel comes to her new country and does not understand English, and all that surround her seems so foreign, little Cartwheel withdraws in sadness and cuddles with her blanket from home. 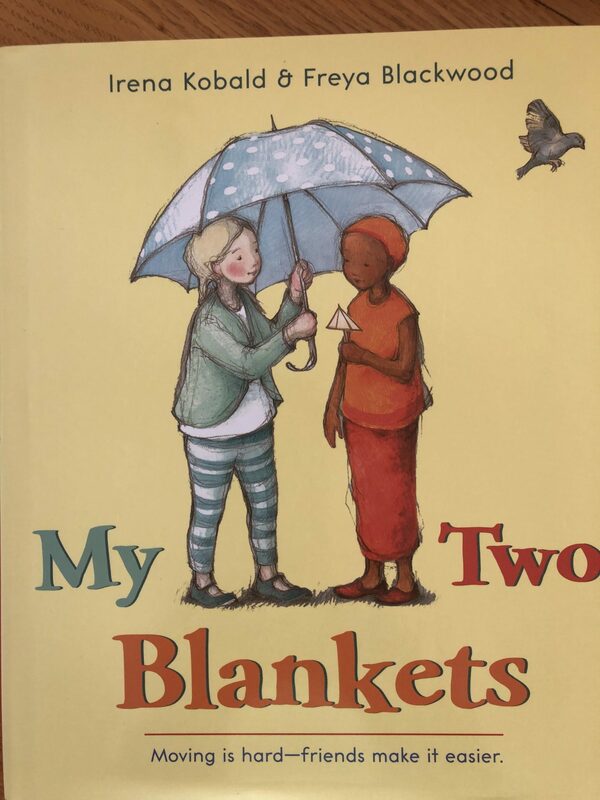 Eventually, a little girl in class befriends her, and little Cartwheel re-emerges with a new blanket, which is as warm, soft, and comforting as her first blanket from home. While I was at WOW, Yetta Goodman sent a whole pile of her books for sharing. I tried really hard to let all of the teachers go first, but finally I just had to jump in–and, there I found a copy of Jane Tompkins’ A Life in School: What The Teacher Learned. I used her writings with teachers in the 90s. From Tompkins, I learned about the dangers of the pedagogy of performance and the pedagogy of the distressed. Rereading this book is like visiting with an old friend. And, I love having a book from Yetta. I bought a copy of Turning Pages: My Life Story b Sonia Sotomayor. 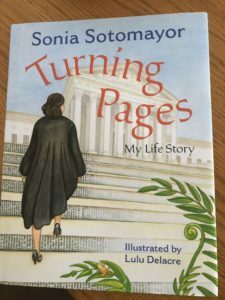 In this childrens’ book, Sotomayor tells how words, books, and libraries were central to her bilingual life. Finally, she tells how the law books were stories of real life people who need justice. 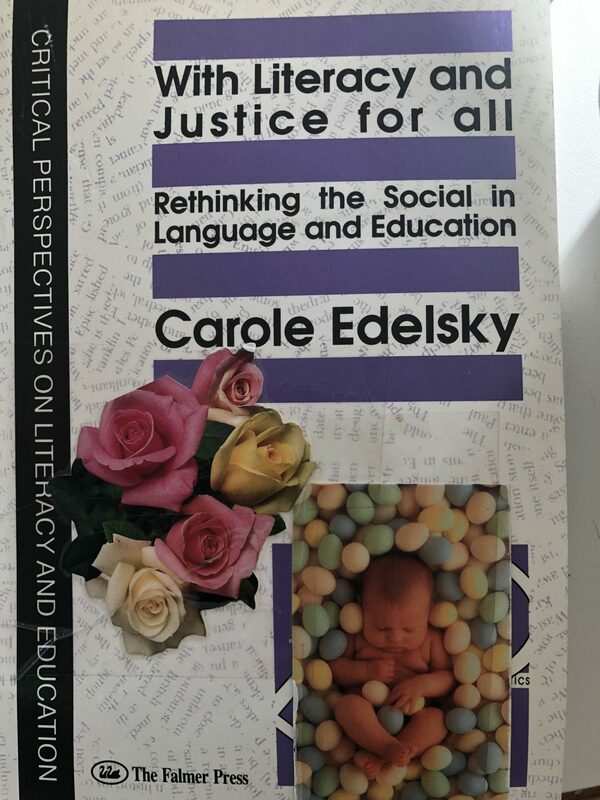 Carol Edelsky also was at WOW, while I was there. It was great to spend time with her. 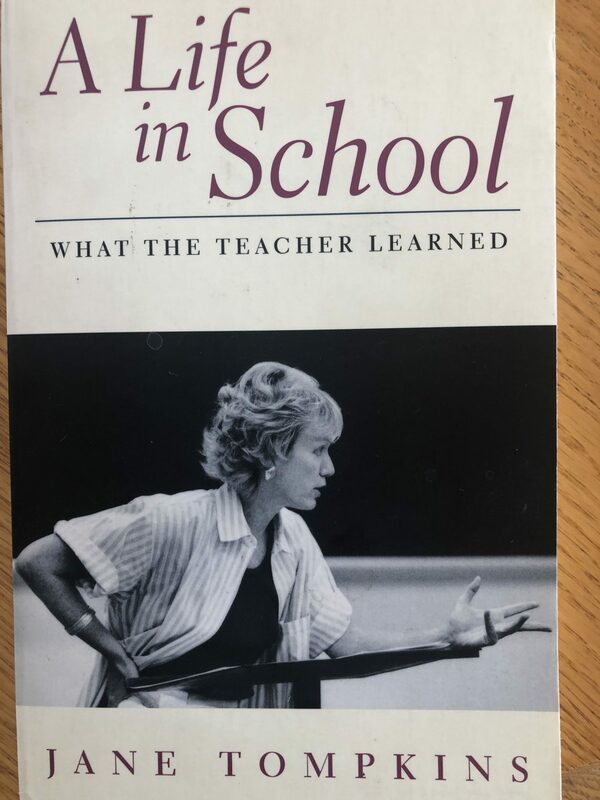 In 1991, she wrote a book with THE. BEST. TITLE. EVER. She has later editions, but this is a photo of my original book. And, yes, I added the roses and the baby-in-balls photo. Carole recommended that I read, The Overstory by Richard Powers. OK, will do. Thank you, Dr. Kathy Short and team of Worlds of Words at the University of Arizona. Joan, thank you for such a wonderful list. I have books by Craig Childs and Gary Nabhan next to my bed now. I’m going to add a few of these titles to that stack. My corner of northwest lower Michigan has many little free libraries sprinkled about along with many full size libraries in every community. I love finding LFLs wherever we go! Thanks, Lindy. Great list to stimulate us to keep reaching beyond self-imposed boundaries. Cuzzin’ Judy, I do not think you have very many self-imposed boundaries! You go, girl! Lindy Barnes, thanks a lot for the article post.Much thanks again. Fantastic.